The book points out the landmarks that suggest advancing consciousness as well as the possible pitfalls for the seeker. Once the seeker experiences the universal Christ-Consciousness, Goldsmith says, he will find fulfillment, peace, rest, refreshment, and joy, and be free of the shadows and illusions of the material world. Consciousness Is What I Am shows the reader that the real man is not the physical body, but the consciousness that governs it. 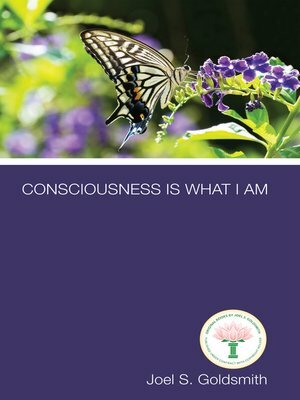 In other words, Consciousness is what I am.